With cold and flu season upon us, it’s the perfect time to build up your immune system with probiotics and immune building supplements. With cold and flu season upon us, it’s the perfect time to build up your immune system with probiotics and immune building supplements. The ultimate goal: preventing sickness before it happens. 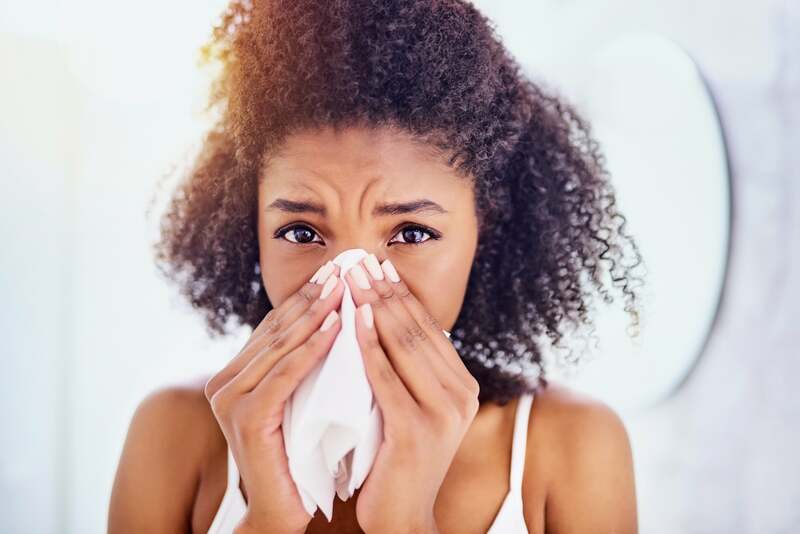 However, sometimes over-the-counter and prescription cold and flu medications can come with unpleasant side effects, such as nausea, vomiting, diarrhea, headaches, nosebleeds and insomnia. Now, let’s process this logically. The flu already puts most people in the position to feel extremely weak and fatigued, so why would you voluntarily ingest a medication that could only help if you’re able to keep it down? Imagine taking the time out to research every drug on the market and finding a fault, and then imagine every holistic option on the market and seeing the side effects being little to none. While the results of the traditional medicine typically yield faster results, the aftermath is not desired, or what’s best for your body. After seeing and researching both holistic and traditional methods, which direction will you choose? 1.DIY Tea: One of the most effective home remedies is cayenne, lemon, garlic, ginger and honey tea. It is best to grab the herbs from your local market (or Whole Foods), cut them up and boil them. Afterwards, you filter them out with a strainer and you’re done! This tea is guaranteed to open up your nasal passageways, however the taste definitely has a kick to it. If you can handle the taste drink as much as you can. The heat will be soothing to your throat, the ginger will help to fight of the virus, the lemon protects against immune deficiency and the honey will soothe the throat. This tea can definitely help to reverse the symptoms of a cold with the help of some assisting supplements. 2. Oil of Oregano: Oil of Oregano is a natural antibiotic that serves several purposes — its antiviral components are critical in ridding of cold and flu symptoms and it has a 99% kill rate of the microorganism that causes respiratory infections, making it a powerful factor when bouncing back from a cold. Oil of oregano can be found at your Whole Foods or any general nutrition center. 3. Rest: This is a given, but not everyone factors this into the healing process. The body heals the fastest while resting and not getting enough of it can continue to weaken the immune system. If possible, always get more than enough rest during a time when your white blood cells have to work a little harder. 4. Sweat it out: Sweating out toxins is vital when our immune systems are under attack. If you participate in activities that will stimulate sweat, be sure to hydrate twice as much as you sweat. There are plenty of different methods to catch some steam and sweat it out — one of the simplest forms being the shower. Showering with high heat will generate steam and promote drainage. Steaming in a steam room has a similar effect the shower gives and sauna sit-ins are a perfect stimulant for sweating too. Sometimes it’s even good to push yourself on the treadmill to spread your lungs and generate some sweat. Ultimately, the goal is to drain mucus from the nasal passageways, and sweat out some toxins in order to purify the body again. 5. Neti Pot: One of the worst symptoms of a cold or the flu is the loss of smell and taste, however, the neti pot is the perfect relief for it. All you need is a neti pot, water and salt or saline. Using the pot to drain the sinuses a few times a day can really be helpful in avoiding those pesky symptoms. Not only does the neti pot help with drainage, but in moisturizing dry nasal passages too. A neti pot can be found online, or at a local pharmacy.